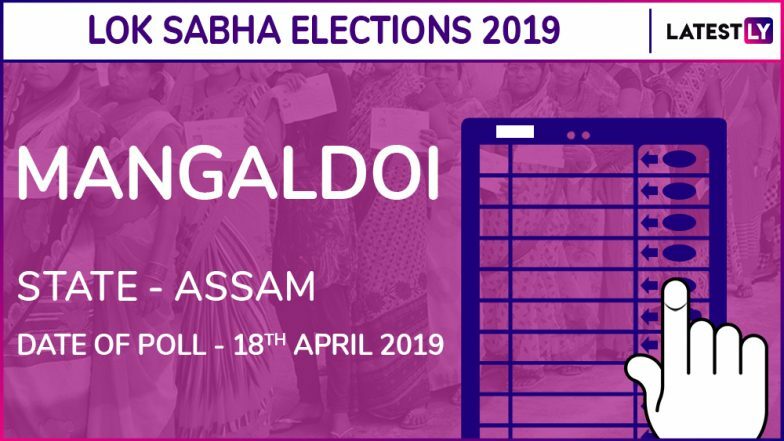 Lok Sabha Elections 2019: Mangaldoi parliamentary constituency is one of the 14 Lok Sabha constituencies of the north-eastern state of Assam. Out of the ten assembly constituencies that comprise the Mangaldoi parliamentary constituency, the two assembly segments of Mangaldoi and Udalguri are reserved for candidates belonging to the scheduled castes (SC) and scheduled tribes (ST). The Election Commission of India (ECI) has decided April 18 to be the date of the poll for Mangaldoi, which will be in the second phase of Elections 2019. Lakhimpur Lok Sabha Constituency in Assam. In Mangaldoi, the key candidates taking part in the 2019 General Elections are Dilip Saikia (BJP), Bhubaneswar Kalita (INC) and Sudhendu Mohan Talukdar (AITC). As per ECI’s schedule, it shall be noted that the last date for filling nominations was March 26 and scrutiny of nominations was March 27, 2019. Again, March 29, was decided as the last date for withdrawal of candidature for the General Elections 2019. Lok Sabha Elections 2019 Schedule. In the previous Lok Sabha Elections, Ramen Deka, member of Bharatiya Janata Party (BJP) won the maximum number of votes—4,86,357 to be precise. Kirip Chaliha, member of Indian National Congress (INC) was the runner up in 2014 General Elections in Mangaldoi, who bagged about 4,63,473 votes. The present sitting member of parliament of the Mangaldoi constituency is Ramen Deka. The Lok Sabha Elections this year is scheduled to take place from April 11 to May 23. The voting for 2019 General Elections will be held in seven phases between April 11 to May 19, 2019. The final counting and declaration of the General Elections’ result is scheduled on May 23, 2019.